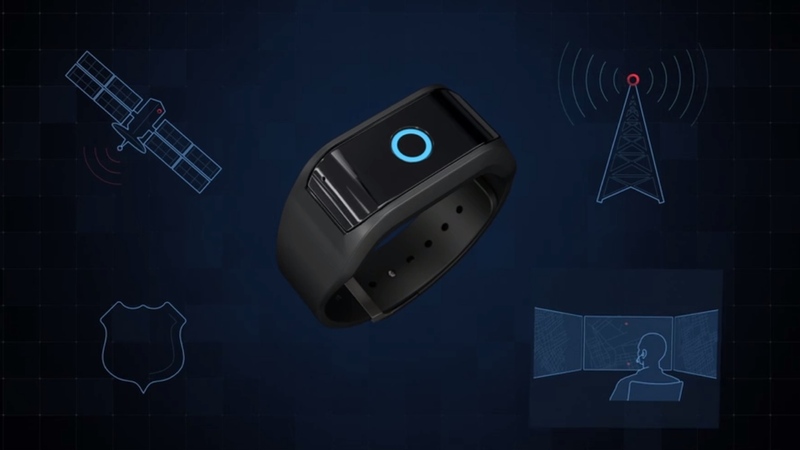 RiskBand is the latest wearable that wants to keep us safe and creators Whereable Technologies promises the most comprehensive setup yet. Approximately the same size as a Fitbit Surge, the wrist worn device works untethered from your phone. It has built-in GPS letting you send coordinates to a global emergency response team when the user presses the button on the bracelet for three seconds. With a cellular antenna, microphone, speaker and VGA camera built in, the response team, which can communicate in 200 different languages, will also be able to hear and see what's happening to assess the situation and contact the appropriate local authorities. Additional features include continuous GPS tracking to receive alerts about potentially dangerous events in close proximity to your location. The band is also water and dust resistant with an IP54 rating and includes a vibration motor buzzing the user to let them know that an alert has been sent out. RiskBand - How It Works from Whereable Technologies on Vimeo. It can deliver 24 hours of battery life in alert mode and a week between charges depending on how frequently the features are being used. There's no details on pricing or a release date for the RiskBand, although you might want to hold tight as creator Jim Van Law has already revealed that a RiskBand 2 is in the works and will be out later in the summer. Personal safety wearables have become a bit of a trend in recent months with the appearance of devices like the Nimb smart ring and the Safer smart necklace. Apple also announced it was bringing a new SOS mode to the Apple Watch in watchOS3, making it easier to alert an emergency contact over Wi-Fi or via an iPhone. If the RiskBand can deliver what it promises, then it has all the makings of a genuine life saving wearable. Here's hoping you don't have to break the bank to own one.